Combined Heat and Power (CHP), Cogeneration, also known as on-site power generation, Distributed Generation (DG) and others, is the simultaneous production of electricity and useful ‘waste’ heat. Any facility that has significant thermal load requirements could be a technical fit for CHP. The economic fit will depend on electric cost of electricity, how closely the thermal demand matches the thermal production, and the installation complexity (project first cost). Today, energy efficiency and environmental impacts are on everyone’s mind. Understanding the real costs of the energy we consume in our buildings is also very important. CHP efficiency captures the energy content of both electricity and usable heat and is the net electrical output plus the net useful thermal output of the CHP system divided by the fuel consumed in the production of electricity and heat. 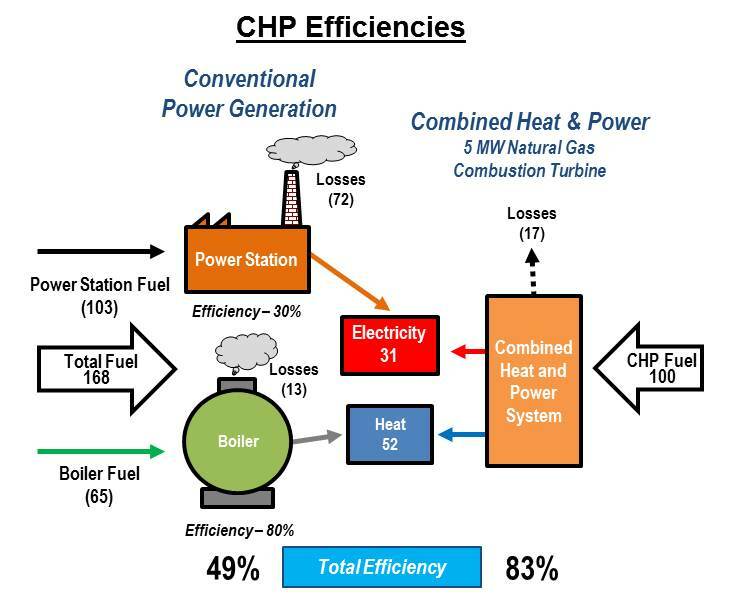 While total CHP efficiency provides a measure for capturing the energy content of electricity and heat produced it does not adequately reflect the fact that electricity and heat have different qualities. The quality and value of electrical output is higher relative to heat output and is evidenced by the fact that electricity can be transmitted over long distances and can be used for many purposes. 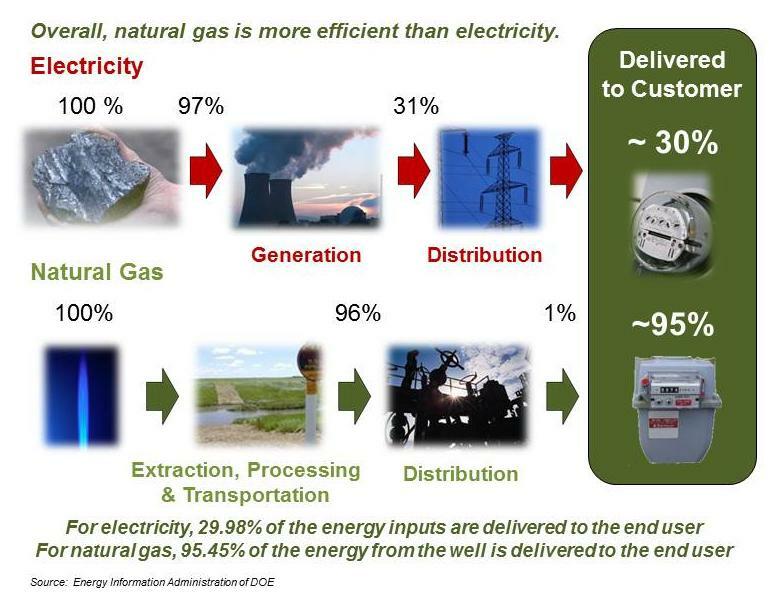 Statements about electricity being 100% efficient are also misleading. That analysis focuses on the efficiency at the end use device — an energy-using piece of equipment — and doesn’t take into account the entire energy delivery process from generation to end use. A significant amount of energy is wasted just to produce the electrical power that is ultimately delivered to your facility. Ready packaged heat recovery modules are available to easily incorporate into your system to provide hot water or steam for your facility.